Thanks! 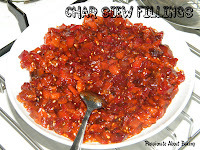 It sure is good with the char siew sauce. Bread is something I can't do very well. 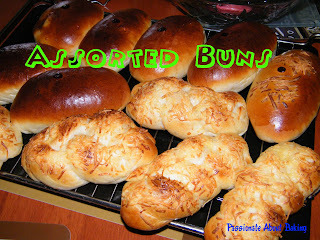 But the idea of making cheese/sugar buns sounds do-able for me. 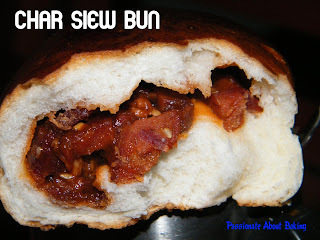 :) Your homemade char siew buns look so good! Finally you post up something here! Are you very busy lately? I miss your baking story, waiting day by day and today feel good to see your posting. You've long time didn't make buns! But, your excellent standard still there! Very delicious buns! Thanks for dropping by. Ya, do try the bread, hope you like it! Thanks for your encouragement! I'll try to bake more often. :p You too! Hope to see more posts from you soon! Both ways sound really good, Jane! And I seriously don't know how you do it- work, conduct classes, spend time with your family and still find time to bake! I come back completely wiped out from work every day.